I just love standing at this spot and watching the waves roll past. This is just to the right of Sugar Loaf rock. The swell and surf coming past here is normally big and powerful and stops for no person. Quite often after a morning shoot I’ll either head to Injidup Point or here and just sit back with a coffee for an hour or so and watch the waves crash into the beach. Its such a soothing thing to do. For me its important to be near water, to see it, feel it and be immersed by it, its everything to me. It recharges me when I’m run down, and brings joy to everything I do. Does anyone else feel the same way about water? 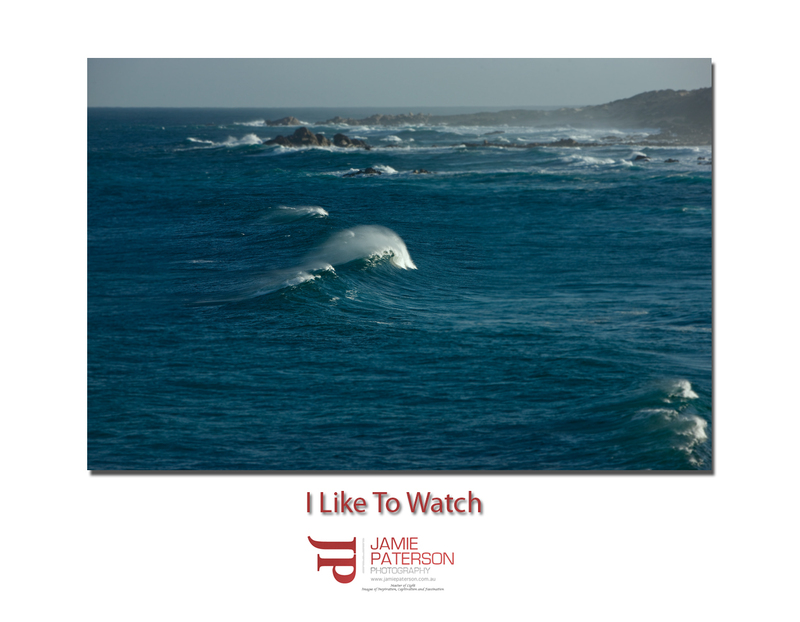 This entry was posted in Australian Landscapes, Australian Seascapes, Surf Photos, Wave Photos and tagged australia, Australian Landscapes, Australian Seascapes, dunsborough, Jamie Paterson, landscape, ocean, seascape, water, waves, western australia, yallingup. Yeah I’m with you Jamie , it can be very relaxing ,if i’ts not windy. Just around that spot is where we go for Abalone when we are down there, when its calm. I’ve seen some real huge swell roll in there, mother nature at her best. Thanks for the comment mate. I never thought about Abalone being down there until you mentioned, but I’m guessing there are some beauties down around that area. For me I like to ride rather than watch! My gills get a little dry if I sit up in the dry for too long mate! Very much a water baby and love it everywhere down south! Thanks for stopping by. I think we’re both the same when it comes to water. I can’t wait to head up to Coral Bay next year. There is nothing like just grabbing a mask and snorkel and just walking up and down the beaches all day and just jumping into the water when you spot a really cool bit of coral. Then back to the pub at the end of the day for some amber refreshments. Hey Jamie, I like the DoF in the shot. I love beeing out where there arent any people. Whether it be down on the coast or out in the bush, Its relaxing knowing that there isnt anyone around to annoy me. It certainly is relaxing being out there by yourself isn’t? It gives you time to reflect on life and just enjoy the view. Good call about the rhythms I had forgotten about that. Ohhh coming to WA soon? Is that for Karijini or to visit? If you go up to Broome I might have to duck up for a visit.